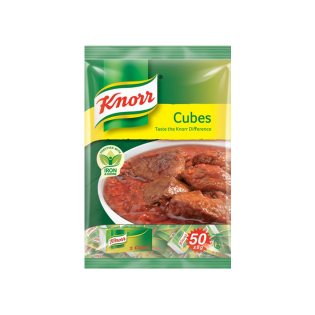 Knorr Beef seasoning cubes is a superior product that brings out the very best in a variety of dishes, giving them a burst of rich flavour. Not only dooes it add a delicious aroma and flavour to easy dinner recipes, it can also be used in a variety of dishes and beef recipes. Turn simple dinner ideas into scrumptious family meals by simply adding Knorr seasooning cubes to your dish. You are guaranteed to make your family smile from ear to ear every time. Iodised salt, sugar, flavour enhancers (E621, E627, E631), corn starch, vegetable fat, onion powder, caramel colourant, flavourings, spices, herb, ferric pyrophosphate, lime powder, water, citric acid, sodium pyrophosphate. Learn how to make a quick and easy Seafood Okra by following the cooking tips in the video. Weekly dinner ideas can range from easy pasta recipes to delicious seafood recipes. Chef Fregz offers a detailed step-by-step tutorial for those who are fans of a steaming Seafood Okra. Knife skills in the kitchen cannot be overemphasised. Save yourself from nicks and cuts by learning basic knife skills from Chef Fregz. Ensure that you keep easy dinner recipes hassle-free by learning how to cut, chop and dice like a professional. Almost everyone knows a couple of winning fish recipes, but few people know how to fillet a fish. The secret is a sharp, flexible knife and a couple of easy-to-follow tips that you can learn by watching this video.